Remember that time when Jay Z and Solange Knowles got into a fight in an elevator? Or more accurately, that time Solange freaked out on Jay Z in an elevator after the Met Gala in 2014 while Beyoncé stood idly by? Of course you do, because that was a next-level display of celebrity anger. And though they wound up releasing a statement — and there has been much speculation on the topic — we’ll never know for sure what that elevator fight was all about. More: Did Jay Z really cheat on Beyoncé, or is Lemonade just a piece of art? 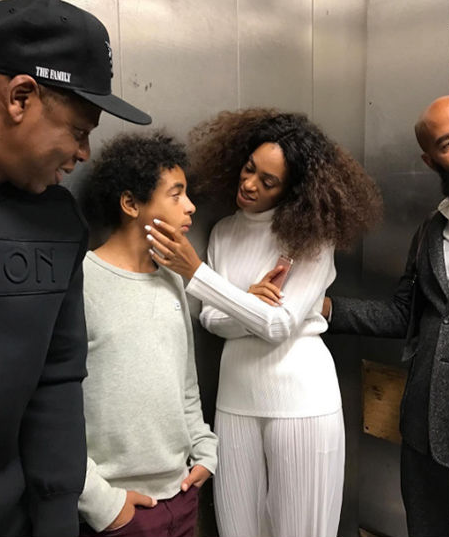 So when Bey’s mom, Tina Knowles, posted a shot of Solange and Jay Z chilling in an elevator yesterday with Solange’s son Julez and her husband Alan Ferguson, you’d better believe people took notice. And though she must have realized the implications and deleted it posthaste, TMZ got a screenshot of the image for posterity, and it will now live on forever, thanks to the internet. From two years ago until at least next century, any elevator-associated image in relation to Bey, Jay and/or Solange is automatically going to trigger memories of that fateful night. 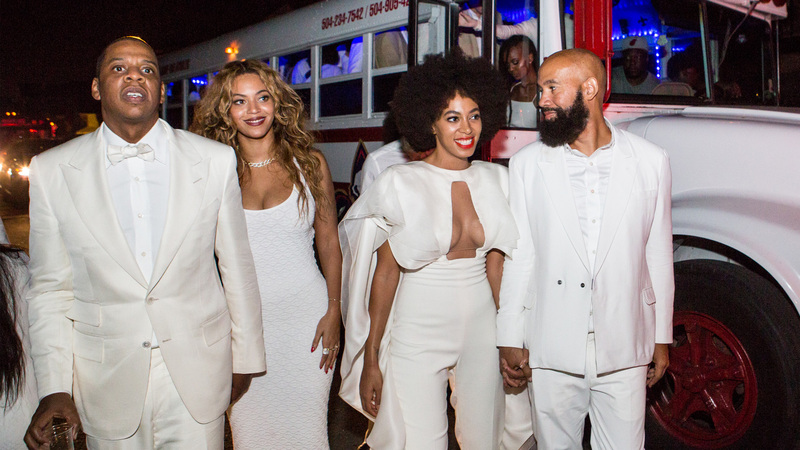 Though some speculated that Solange went wild because Jay Z was cheating, we’ll never know for sure. When Beyoncé’s Lemonade came out and some lyrics suggested that such infidelity indeed occurred — “He only want me when I’m not there / He better call Becky with the good hair,” Bey sang — the Beyhive (the singer’s legion of fans) went nuts. But from the source, we only got that very vanilla statement. The statement tried to paint Bey, Jay and Solange as an average fam, adding, “At the end of the day families have problems and we’re no different. We love each other and above all we are family. We’ve put this behind us and hope everyone else will do the same.” Indeed. And so it was, until Beyoncé’s mother had to go and post a shot of everyone hanging out in an elevator. Oops.